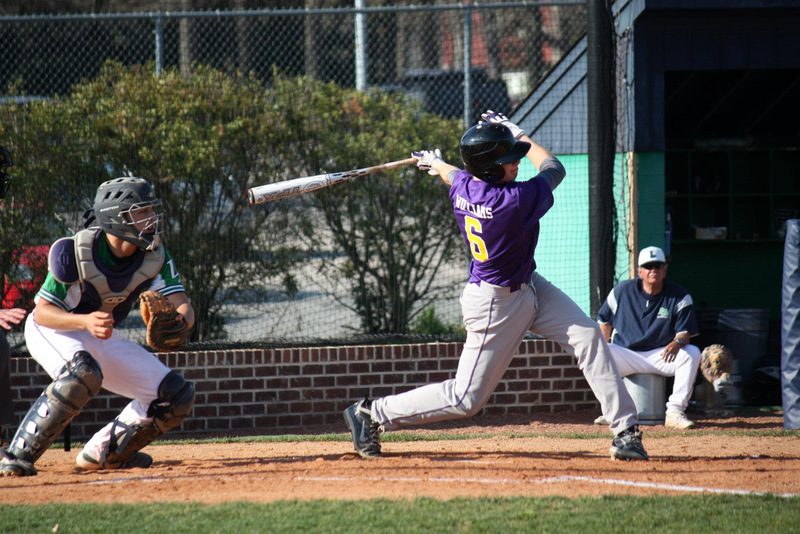 The Broughton Varsity Baseball team opened its 2019 season with a bang last week as the Caps rolled to victories over Wakefield and Garner. Broughton opened the 2019 season with a 10-0 shutout of Wakefield behind the impressive performances of three seniors. Starting Pitcher Xander Hamilton (Sr.) was nearly flawless, giving up only two hits and two walks in five innings while striking out nine. Co-Captains Joe Barrow (Sr. 3B) and Robert Ramseur (Sr. C) were perfect as they combined to go 6-6 with a homerun, two doubles, two singles and a walk. The Caps got off to a bit of a slow start, but in the bottom of the 3rd, they erupted to take the lead. After a lead-off walk by Davis Clemmons (Jr. CF), Ramseur doubled, moving Clemmons to third. Clemmons scored three pitches later on a passed ball. One batter later, Barrow tomahawked a two run blast over the right field fence and the Caps took a 3-0 lead. Broughton wasn’t finished with the offensive production, however. In the bottom of the 4th with Campbell Nixon (Sr. DH) drawing a walk, the Caps started a two-out rally with a Clemmons single. Ramseur loaded the bases with an infield single and Hamilton walked, plating one. Barrow then singled, driving in two more for the Caps. Broughton led 6-0 after four. In the bottom of the 5th, Josh Holloman (Jr. SS) nabbed a lead-off walk and was followed by Daniel Brown (Jr. 1B) who singled. After another Wakefield passed ball advanced Holloman and Brown, Hamilton Andrews (Jr. LF) hit a two-run single. Clemmons drew another walk and Ramseur got his second double of the game to score Andrews. Hamilton ended the game with an RBI single to left as the Caps invoked the mercy rule with a 10-0 victory. Broughton gutted out a tough 3-1 win over rival Garner behind solid pitching performances by Joe Barrow (Sr.) and Josh Holloman (Jr.) and a two run homer by Hamilton Andrews (Jr. LF). Barrow was brilliant for the Caps, surrendering no hits and only two walks against 8 strikeouts in four solid innings of work. Holloman worked three innings in relief and did not surrender an earned run to nab the save for the Caps. After three and a half scoreless innings, the Caps led off the bottom of the 4th with a single from Jon Benefield (Sr. 2B). Holloman bunted for a single and Daniel Brown (Jr. 1B) hit a hard ground ball for a single that scored Benefield. Two batters later, Andrews homered to left giving the Caps a 3-0 advantage. It was the first homerun for Andrews as a Varsity player. Garner made it interesting, plating one run in the top of the 5th and loading the bases in he 7th, but Holloman was too strong, striking out the last batter to secure the win for the Caps- their first against Garner since 2016. 20 Chris Newton Asst. Coach Dorrian Stephens A.D.
Will Childs Asst. Coach Kelly Robertson A.T.
After a huge win Friday night to Win The 31st Bobby Murray Invitation they have 2 big conference games against Leesville Rd. Varsity at Leesville on Wed 4:30Start, Friday at Home 4:30 Start. 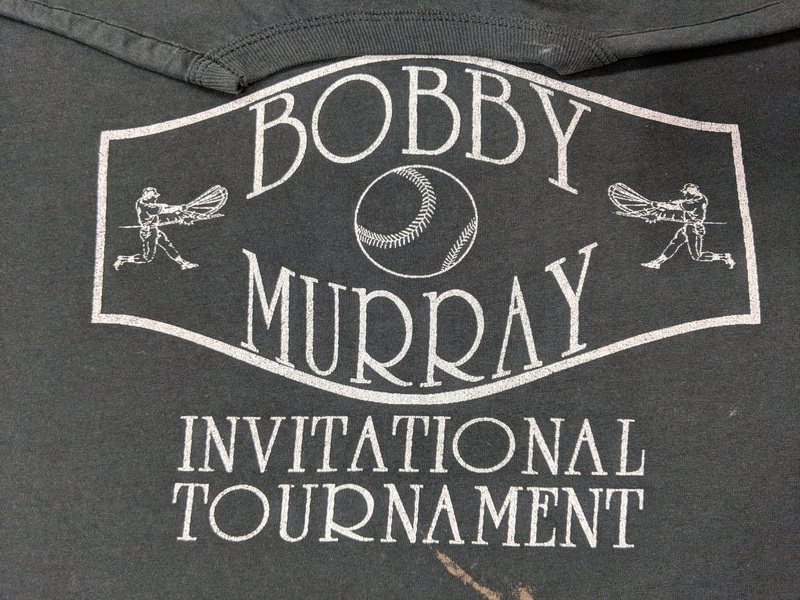 Caps will face the winner of Middle Creek vs Corinth Holders (1pm Friday) on Friday night at 7pm at Millbrook for the 31st Annual Bobby Murray Championship. Hope to see you there! April 21st ALS Game Info from Ryan Combs! Johnson-Lambe has once again agreed to donate a set of game jerseys to the team that raises the most money. Last year Broughton and Millbrook were incredible and raised over 30,000 combined. 100% of the money raised goes to the ALS Association of NC. The association uses the money to fund programs to support victims and their families of ALS. It costs hundred of thousands of dollars to care for a family member who has ALS. The most important thing that can happen through this tournament is for everyone involved, especially the players, to have a better understanding of what a cruel disease ALS is, and that currently there is no cure. Because ALS only effects such a small percentage of the US population, the Federal government does not invest into research for ALS like they do HIV and Cancer. Since my brothers diagnosis 2 years ago, he has raised over 2 million dollars for Project ALS out of New York. Project ALS has raised close to 100 million for research to find a cure. Just as womens’ basketball has taken breast cancer head on, baseball needs to fight to find a cure for ALS. Lou Gehrig, NC Native and MLB Hall of Famer Catfish Hunter, former Western Carolina and ECU baseball coach Keith LeClair, and the creator of the Ice Bucket Challenge, Boston College baseball player Pete Frates all were victims of ALS. Pete Frates continues to fight on, and the Boston College program is constantly carrying the torch. Thanks again for being a part of this tournament. Baseball is such a big part of my family’s life, and I can think of no better way to honor my brother than by raising money and awareness through a game that has given our family so much. Orders are due back by March 29th. 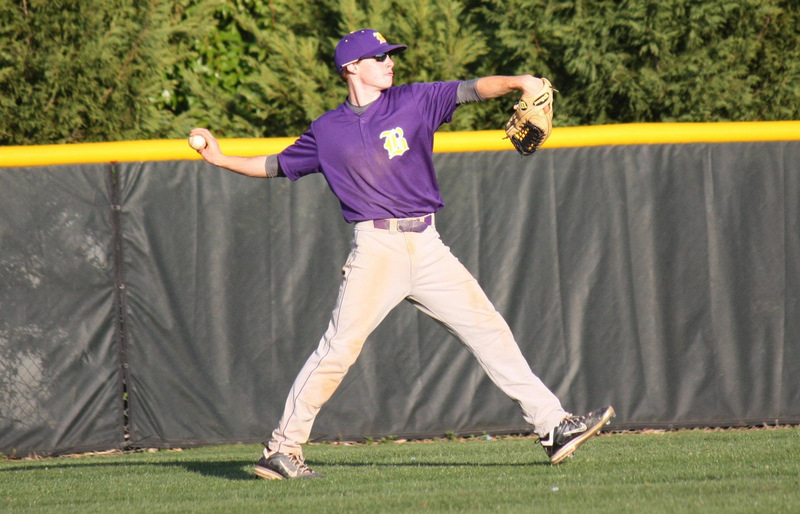 Cary, N.C.- The Broughton Caps opened the 2018 varsity baseball season with a hard fought 2-0 road win over Panther Creek. 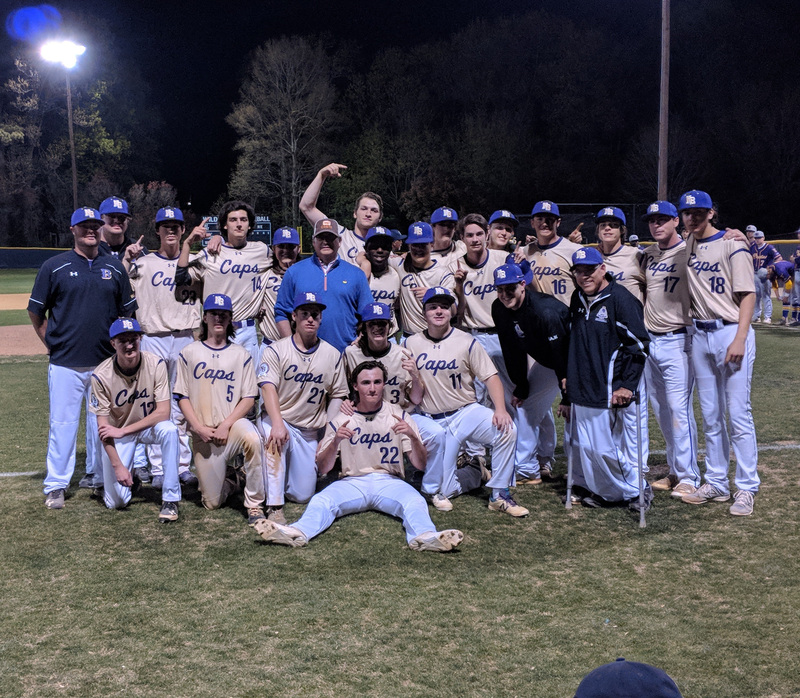 Backed by a strong pitching performance by Junior Xander Hamilton, the Caps were able to hold the dangerous bats of Panther Creek scoreless. Hamilton showed no signs of an pre-season ankle injury, giving up only 2 hits and carding 8 strikeouts. Senior Kyle Ehlers was credited with the save after retiring the side in the bottom of the 6th inning. The game was largely a pitching duel between Hamilton, a Virginia Tech commit, and Panther Creek Sophomore Koen Moreno, an East Carolina commit, until the top of the 5th. 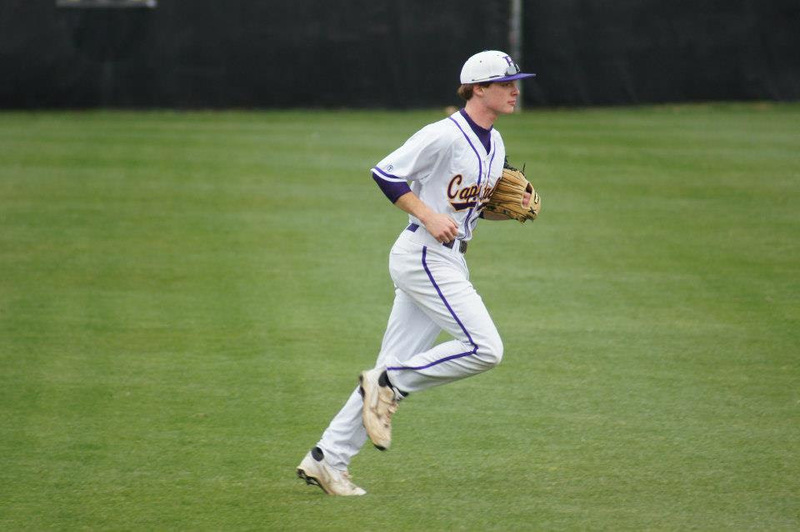 Broughton Junior Campbell Nixon drew a walk to lead off the inning and moved to second on a sacrifice bunt by Senior Jackson Highsmith. Ehlers reached on an error and Sophomore Josh Holloman drew another walk to load the bases for the Caps. 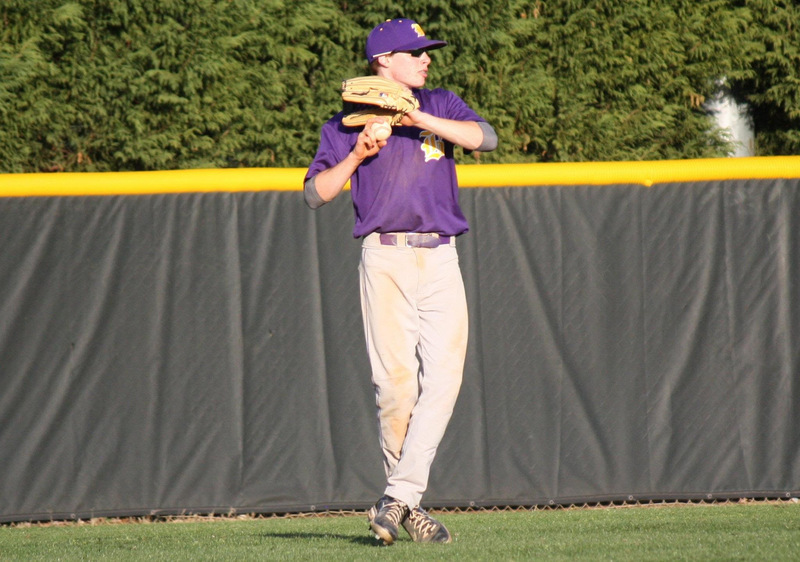 Senior Mathis Dean made the Catamounts pay with an opposite field single that scored two. The game was called with two outs in the bottom of the 7th inning with the Caps ahead 5-1. Since the inning had not completed, the final score reverted to the score at the end of the 6th. The Caps face Garner in its home opener Friday at 4:00. Come out to the ballpark and support the Caps! 🎆⚾🕓 @ Panther Creek 4:00pm Opening Day! Opening Day at Panther Creek 4:00pm! *Please note that our March 5th game at Garner is potentially being moved to Doak Field at NC State. 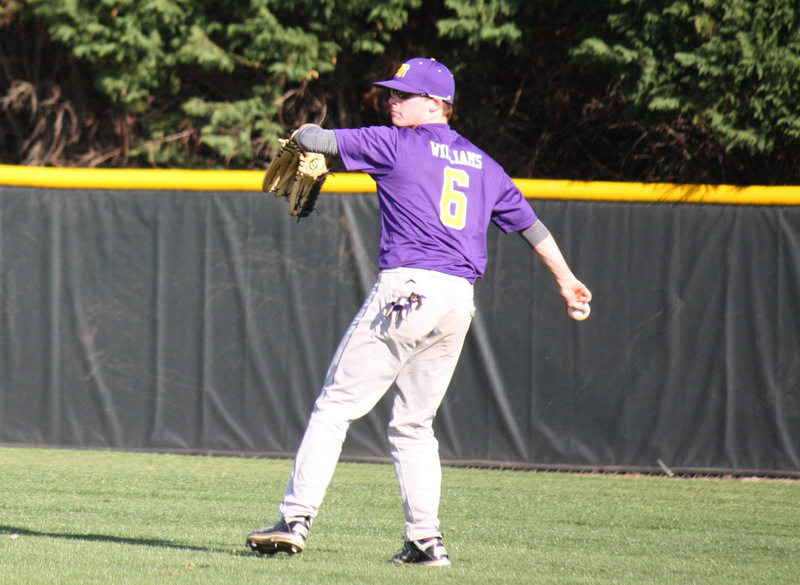 If you look out into right field at the Wiley Warren Baseball Field at Broughton High School this spring, you’ll see a simple and elegant number six banner gracing the wall. The banner is in honor of Jackson Williams, class of 2014, who graced right field himself, for many years. Jackson died over Christmas in 2016. His former teammates promptly gathered together and made the decision to find a meaningful way to honor Jackson’s memory. They could not have thought of a more appropriate tribute, and Jackson’s family cannot thank them enough. Baseball served a very important role in Jackson’s life, as it has for so many players over the years. It taught him discipline, respect, humility, patience and drive. It gave him a focus that is so critical for boys of this age. Jackson was a kind, gentle, steadfast young man who lived every single day with purpose. His family is extremely thankful for the prayers, love, and kindness that has been shown to them, and they know Jackson’s kind and gentle presence is missed by so many. A simple way to honor Jackson would be to live each day with a heart filled with goodness. You may also want to consider making a donation to the John Jackson Williams Endowed Scholarship that has been established at NC State University, Jackson’s alma mater. Checks can be made payable to NC Textile Foundation with “John Jackson Williams Scholarship” written on the memo line. Checks can be mailed to NC Textile Foundation, Campus Box 8301, Raleigh, NC 27695-8301. If you have questions, please call 919-515-3878, the Foundation staff is happy to assist. Because of this named scholarship, Jackson will always be in our hearts and minds. Jackson will be peacefully laid to rest in Oakwood Cemetery in Raleigh.